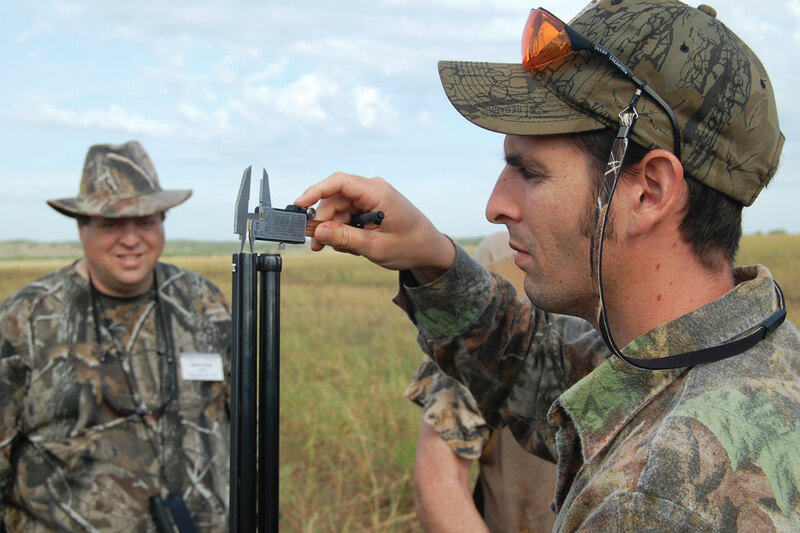 For its nontoxic-versus-lead-shot test, the Texas Parks & Wildlife Department allowed dove hunters to use the chokes they preferred, with each recorded as a factor in comparing success with both lead and steel loads. The findings: Denser patterns are more important than denser pellets. Are you a dove hunter? If not, you’re missing out. Taken for granted by hunters outside the South for many years, shooting these little gray speedsters is both fun and challenging. What’s more, new surveys and a scientific test of dove-load performance have revealed some exciting facts for shotgunners. Except where still considered songbirds rather than gamebirds—in Michigan and a block of seven Northeastern states—dove hunting currently is practiced in 42 states. Many of those states have begun managed hunting seasons relatively recently. My transition from recreational to avid dove hunter was clinched when the Texas Parks & Wildlife Department (TPWD) asked me to join its team for a nontoxic-versus-lead-shot test it wanted to conduct during the 2008-’09 dove season. I would assist in designing the study, selecting the ammo, training the observers, X-raying and necropsying the bagged birds, and analyzing the data, and then co-author the peer-reviewed scientific report that resulted. Having done the same previously in many waterfowl- and pheasant-shooting tests, I was eager to participate. Texas leads the nation in the number of dove hunters—almost 404,000 in the 2015-’16 season—and doves harvested—more than 7.2 million mourning doves that same season. Before the test was conducted, a 2008 survey showed that the favorite dove load in Texas was a 12-gauge 1 1⁄8-oz load of No. 7½ lead shot at 1,200 fps. As for nontoxics, it was a 12-gauge 1-oz load of steel No. 6s. I advised that the experiment be run as a 12-gauge test of 1 1⁄8-oz No. 7½ hard lead shot versus as many different 12-gauge steel loads of ballistically equivalent sizes appropriate for mourning doves that the TPWD could afford to include in a double-blind test. The experiment also would have to produce a large-enough sample size of shots fired per load per hunter to provide confidence intervals at or above 95% for each load. It turned out that the TPWD would be able to afford to test three loads at an expected cost of nearly $1 million. Since the purpose of the test was to measure how the participants performed with their favorite lead load versus two comparable steel loads under hunting conditions, it was imperative that the TPWD involve a cross-section of dove hunters. TPWD sent out an invitation to a computer-selected random sample of dove hunters, inviting them to participate in a 12-gauge dove-shooting test in central Texas with TPWD paying their transportation and lodging costs. The computer then selected a random sample from the hunters who volunteered to participate. The three test loads were a 2¾” 12-gauge 1 1⁄8-oz load of hard No. 7½ lead shot at 1,200 fps and 1-oz loads of No. 7 and No. 6 steel, both at 1,300 fps. All loads were assembled by Polywad in an opaque brown hull, each with its own code letter. Once shipped to Texas, these loads were decoded by a staff whose sole job was to secure the ammunition in locked storage and re-color-code the shells each day according to a random-distribution scheme. All of this was necessary to preclude either the participating hunters or trained observers accompanying them from being able to determine which loads were being shot—ergo both groups were “blind” to the loads being fired. The double-blind nature of the experiment was further preserved in that the loads shot at each blind site each day were blocked from those analyzing the field data so that their bias, if any, would be prevented from altering the results. Each day the participating dove hunters came to a check station, where they received 100 rounds of encoded ammunition, a blind site and a trained observer—all randomly assigned. The observers recorded the number of shots fired for each attempt at dove(s), the load code, the choke used, the distance of shots fired (measured with a laser rangefinder), and the result to each dove according to four principle behavioral definitions: dead or immobile within 30 seconds, mobile but retrieved, visibly hit but not retrieved, and missed. At the end of each day the hunters and observers returned to the check station to turn in all doves taken (one-shot-kill doves were tagged), the remaining unfired ammunition and spent hulls, and the observers’ hunt-data cards. The hunters were allowed to bring into the experiment any 12-gauge guns and chokes of their choosing and to fire as many shots at any distances they wanted, but they were not told what the actual distances measured were. The hunters had to make their own unassisted retrieval efforts. The ammunition distribution was designed such that each hunter during the course of his/her participation fired all three loads about equally. When the smoke from the two-year study cleared, 53 participating hunters had fired 5,094 shots bagging 1,146 mourning doves and wounding 739. Of the birds bagged 1,110 were X-rayed and necropsied, to determine the number and locations of pellet strikes, wing and leg breaks, and depths of penetration. 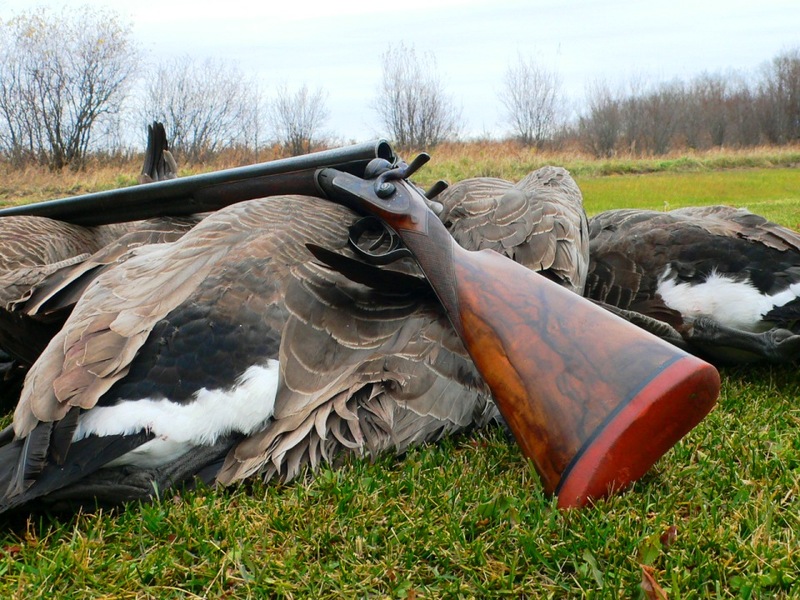 Field data recorded by the trained observers indicated that the majority of hunters used Improved Cylinder and Modified chokes. The participants fired the test loads at an average of 31.7 yards. With these chokes and at these distances, they averaged 4.5 shells per bird bagged and suffered a 39.2% wounding rate. Comparing the performance of the three loads over a number of different shots fired and bagging- and wounding-rate metrics, the several analyses run could not detect any statistically significant differences among the performance of the three loads. This remained true even as distances increased. The missing and wounding rates increased and the bagging rates decreased for all three loads with increased shooting distance. While over all of the distances no real performance differences could be detected statistically among the three loads, raw bagging-performance numbers were slightly better for the two steel loads—especially the No. 7 loads—when the bagged-per-hit, wounded-per-hit, and bagged-per-shot metrics were examined. The results indicate that pattern density on such small body sizes as doves is the key to lethality. Further, switching from lead No. 7½s to steel No. 7s especially should not impact either bagging or wounding rates. The high wounding rates measured for all three loads largely can be accounted for doves frequently falling into rather-tall-grass field borders and lone hunters without benefit of dogs to retrieve or companions to mark downed birds. The results of the Texas Dove Lethality Study were published in a peer-reviewed article in 2015. (You can read the full study report HERE.) It was the largest lethality test of its kind ever conducted in mourning dove hunting. Important to hunters, wildlife managers and shotshell manufacturers alike, the study provided objective insight comparing the performance of steel shot and lead shot for dove hunting. It also provided important measures of dove hunter behavior, such as choke preferences, shooting distances, number of shells fired per bird bagged, bagging success and wounding losses. One of the findings I liked best was the vastly better shooting performance of the participants—at 4.5 shells per dove bagged—than the never-measured exaggerations of two or three doves per box of shells that have been bandied about for decades. Doves are zippy, challenging wingshooting quarry about the same size as the larger quail species. They fly much higher than quail, often with a dodging, erratic flight, and they lend themselves to both pass-shooting and decoying. They are perfect quarry for sub-gauge shooters using either lead or nontoxic shot. Most dove seasons open in early September, so doves provide excellent shotgunning opportunities when other hunting seasons are typically closed. Last, doves represent a stable resource and a real growth opportunity for US wingshooting. A century on, a new gun meets—and makes—gunmaking history.